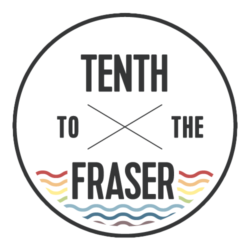 Some of you may have noticed that it’s been a while since I last wrote on Tenth to the Fraser, though thankfully I have had Jen’s prolific contributions to carry the torch while I’ve been quiet. Sometimes I get quiet because life gets too busy to blog, and sometimes I just need a bit of space alone with my thoughts. The last month or so has found me both very busy and more introspective than usual. In my recent efforts to create better work-life balance, I have found a new joy in embracing the time away from the Internet to better focus on the task at hand, whether it’s billable client work, scrubbing the kitchen or playing Lego with my kids. Along with work-life balance, I also struggle with blog-life balance. I often feel guilty both for spending too much time blogging and for not spending enough time at it. I am coming to accept that it’s just the way it is: there is a time to blog, and a time to step away from the blog and just live your life. Today, we have more data than ever on what ‘ordinary’ people are thinking and doing, because we are now all able to leave our mark on the Internet. But as ever, this fails to account for a great many meaningful moments that never do get written down or uploaded to YouTube. And that’s OK too. I think that we risk becoming spectators of our own lives if we are too focused on Tweeting every thought and photographing or videotaping every milestone. On the other hand, in some aspects of my life I find that I gain a great deal by taking the time to reflect on my thoughts and experiences and write them down. As I explain my thinking to others, I understand it more fully myself. Blogging, Facebooking and all the rest can be wonderful ways to connect with people and explore ideas, but what really matters is your experience in the world and the impact your life has on others. One thing I love about the New Westminster social media community that has emerged over the past few years is that it isn’t just an online echo chamber. Over and over I see examples of people making friends (who they actually do see in person as well as online), businesses winning customers, our City engaging citizens and all kinds of ordinary people coming up with great ideas to make our town a better place to live – and organizing themselves to make it happen. A little less than two years ago, I went looking for an online community of New Westminsterites online. The virtual version of New West was a pretty lonely place back then. I found a few bloggers. A few more on Twitter. A handful of Facebook groups. I was thinking of launching a blog about life in New West, but when I saw how little local activity there was, I wondered whether anyone would even read it. 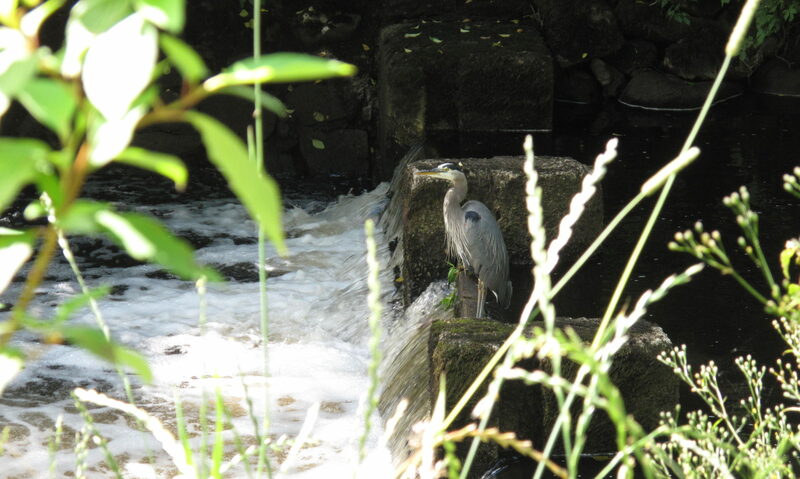 Then I found an active local photography group on Flickr, which was encouraging. Will and I decided to go ahead with the blog, just for the fun of it. We created the first incarnation of Tenth to the Fraser on Blogger, where it’s easy (and free) to start a blog – and even easier to abandon it if you lose interest. But the more we wrote, the more fun we had and the better connected we felt to our community. We started making new friends, shopping at more local businesses, and taking more time to learn about local issues. We started to see New West in a different way. As we slowly started to meet more people online and we got involved in more civic events, we became not just residents but active agents in a changing community. We became empowered. I created alerts for Twitter and Google for New West, and I reached out to bloggers and Twitter folk who wrote about our city. A few of them ignored me. But a lot of them became readers and some even became contributors to our blog. I learned that I had been mistaken. It wasn’t that New Westminster didn’t have many people online. It was that the people who were online didn’t identify themselves as being part of our community. The more that people Tweeted and blogged about New West, the more people started owning up to living here. We wrote a lot about New West, and gradually we saw other people do the same. We started using the #NewWest hashtag on Twitter, and then our friends did too. Then their friends did, and their friends. Now the local newspapers do too. There is a perception that blogging is passive. But through the last couple of years I’ve seen how it can be used to inspire change. Cheekily, we said the goal of Tenth to the Fraser was to “Hyack the Web.” By that, we meant to chivvy New West to hurry up and become a more digital city. What we didn’t foresee was the offline change. Today, there is not only a parallel digital community in New Westminster that lives on Twitter, Facebook and blogs, but also new offline friendships and activities that would likely never have existed were it not for #NewWest. – @duckbeaver and @weskoop were inspired to become part of their resident’s association, and have live-tweeted council meetings. Both have also volunteered their skills to benefit local organizations. – @jenarbo changed her mind about moving to Vancouver Island and instead bought a house in New West. She also became the market manager for the Royal City Farmers Market – a job she likely wouldn’t have even known to apply for if she didn’t write a blog (and through it become a TF contributor, then friend). – If I had never started Tenth to the Fraser, I would never have called together the committee that organized Summerfest in Grimston Park. #NewWest is bigger than one blog, of course. We got the ball rolling, inspiring more people to represent themselves as New Westminster aficionados online. In the chain of events that followed, there were a bunch of cool things that happened because of what we did. But it’s even cooler that people no longer have to find Tenth to the Fraser to find #NewWest. Today #NewWest is a vastly different place than two years ago. One big change is that there is now an institutional presence in social media. – City Hall and both local newspapers are active on Facebook (The Record) and Twitter (The Record & The Newsleader). Two councillors are tweeting (Jon Cote & Betty McIntosh), several comment on local blogs and Facebook pages, and many more at City Hall keep tabs on what #NewWest voices have to say about New Westminster. – A number of local reporters are starting to use #NewWest for story leads. – Local businesses and organizations like the BIA are also experimenting with using social media to connect with their customers. Best of all, if the last two years are any indication, #NewWest’s online community-building chatter will inspire more people to get involved offline. A year and a half since launching Tenth to the Fraser, we are often asked, “Where do you find the time?” In truth, sometimes we don’t. Regular readers may notice we sometimes go days, or even weeks without an original blog post (though we do have an almost-daily stream of New West links & updates via Facebook and Twitter) because, well, life gets in the way. But considering we are juggling work, family life with a preschooler and an infant, a dog who needs walking and a number of extra-curricular activities including Royal City Farmers Market meetings and the occasional Tweetup, Residents’ Association meeting or Historical Society presentation … we do pretty well I think. Really, it’s all about priorities. If you don’t think you have the time for something you value, then you need to take a step back and re-evaluate how you’re spending the time you have. Before cutting our cable, I often felt like television just wasn’t good enough to warrant the time I spent on it. But still I watched out of habit. Television sedates the restlessness I feel inside that motivates me to act on my dreams. When we cut our cable, it freed me to make better use of my time. Sometimes I read. Sometimes I blog. These days, I often spend my nights trying to soothe one or both children to sleep. And now and then we do watch a movie or a TV show via DVD or streaming video on the computer. But when we do it’s a clear choice, not just a lazy default. Shirky points out that redirecting even 1% of the time most of us squander on bad TV could power 100 Wikipedia-sized projects a year. Here’s the question I’d like you to ponder: what could you do in your community if you took 10% of the time you now spend watching TV and put it towards accomplishing the changes you wish to see? Pretty much anything you could do would be more likely to build relationships with others in our community than losing another hour of your life to a show you don’t even like all that much. Etc., etc. There is so much in this world to experience. Instead of escaping into sitcoms and soap operas about life in New York, Chicago, LA or other places far away, carve out a little time for the life you live here. Today I planned to take my kids up to Ready, Set, Learn at Tweedsmuir Elementary. Ready, Set, Learn is a provincial preschool orientation program for three-year-olds and their parents to begin connecting future students with the schools they will attend in Kindergarten. Alas, I was led astray by an undated (and apparently stale) PDF – the only information I could find online – which said the program would start at 1:45pm. I discovered at 1:40 when I called the school to confirm that the start time was in fact 1pm and it was just then ending. A second look at the PDF made it clear that the dates didn’t match, and I figured out that it was an old file. I looked for a current version on the SD40 website but found nothing about the program. As in the ‘programs of choice’ registration fiasco, in which I discovered that I am two years late to register my two-year-old for Early French Immersion or Montessori, the problem is fundamentally one of poor communication with parents. An ad in the Record and a few notices on corkboards around town just aren’t enough. For efficiency, convenience and best overall accessibility, information like this needs to be online, where Google and everyone who uses it can find it. It’s obvious that it’s been cobbled together by someone off the side of her desk with little to no support. I pity whoever it is who manages this page. It looks like it’s built either by hand-coding the HTML or with a clunky desktop program like FrontPage. Either way it’s got to be time-consuming to update and manage. New Westminster’s school district might not have the budget of Burnaby, Coquitlam or even Maple Ridge, but even Mission has a decent website with relatively easy to find information for parents. There’s just no excuse for a website like this anymore. There are lots of free, open-source content management systems all with free and low-cost templates to dress them up. Our website uses WordPress, which costs us nothing but web hosting fees. WordPress would be an unusual choice for a school district site, but as many businesses have found, it doesn’t have to be used for blogging. It can be used to help manage more conventional websites as well. Our WordPress template and all our plugins were free. If no one on staff has the skills to set it up, hire someone to set it up and train a staff person to maintain. If money is too tight even for that, hire a freaking intern. I bet half of NWSS could build a better website. I’m picking on the school district today, but this problem is endemic to New Westminster institutions. Word-of-mouth is the primary source of information on how things work in this town. But when you’re relatively new here, or segueing into a new phase of life (in this case, parenting soon-to-be school-aged children) it can be almost impossible to find this stuff out in time. Improving the way New Westminster represents itself online is a vital step to improving how we are perceived beyond our borders. It’s one of the reasons we at Tenth to the Fraser are putting so much of our time and energy into this project, and why we chose our tagline: Hyack the Web. Hyak was a potent word-of-all-trades in the old Chinook Jargon. As an imperative verb, it meant hurry up or get a move on. As an adjective and adverb it was perhaps the most widely-known Chinook Jargon word on our west coast. Hyak! Quick! Hurry up, New West – get online already. Make us proud. Last night I presented a two-hour program at the New Westminster Public Library called Blogging Basics, to help people get started creating their own blogs. We had a great turnout, with 60 registered and only a few empty seats in the auditorium. It was a very lively crowd, full of questions and comments – I barely made it through the presentation in those two hours! Hopefully I was able to answer some questions and even inspire some folks to start blogging themselves! We also disussed using Twitter and Facebook to promote blogs. View more presentations from breebop. View more documents from breebop. Thanks again for coming out everyone! Please let me know when you launch your blogs!